You are Purchasing a 10th Hussars as of 1939 Fridge Magnet. 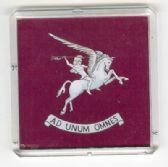 You are Purchasing a 17th / 21st Lancers as of 1939 Fridge Magnet. 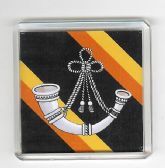 You are Purchasing a Adjutant General's Corps Fridge Magnet. 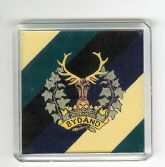 You are Purchasing a Argyll and Sutherland Highlanders Fridge Magnet. 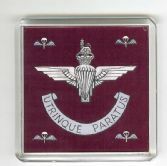 The Fridge Magnet has the name of the Unit in a scroll form, the units cap badge, set on a background of the units colours. 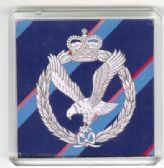 You are Purchasing a Army Air Corps Fridge Magnet. 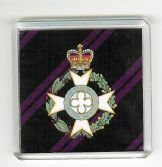 The Fridge Magnet has the units cap badge set on a background of the units colours. 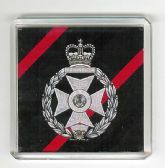 You are Purchasing a Army Catering Corps Fridge Magnet. 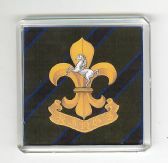 You are Purchasing a Army Physical Training Corps Fridge Magnet. You are Purchasing a Blues and Roayls Fridge Magnet. 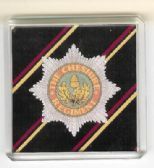 You are Purchasing a Cheshire Regiment Fridge Magnet. You are Purchasing a Coldstream Guards Fridge Magnet. 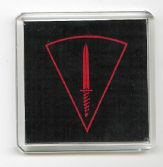 You are Purchasing a Commando Dagger Fridge Magnet. 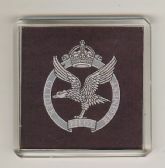 You are Purchasing a Duke of Edinburgh's Royal Regiment Fridge Magnet. 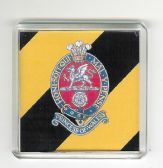 You are Purchasing a Duke of Wellington's Regiment Fridge Magnet. 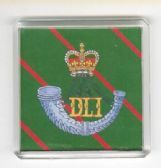 You are Purchasing a Durham Light Infantry Fridge Magnet. 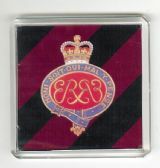 You are Purchasing a Essex Regiment Fridge Magnet. You are Purchasing a General Service Corps Fridge Magnet. 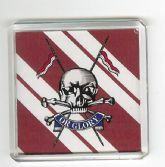 You are Purchasing a Glider Pilot Regiment Fridge Magnet. 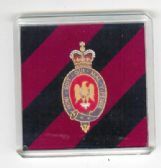 You are Purchasing agloucestershire Regiment as of 1939 Fridge Magnet. 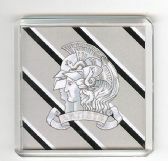 You are Purchasing a Gordon Highlanders Fridge Magnet. You are Purchasing a Green Howards Fridge Magnet. You are Purchasing a Green Howards as of 1939 Fridge Magnet. 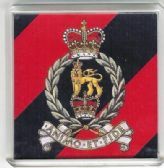 You are Purchasing a Grenadier Guards ( Cypher ) Fridge Magnet. You are Purchasing a Highland Light Infantry as of 1939 Fridge Magnet. 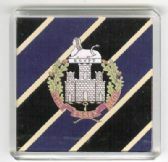 You are Purchasing a Highland Light Infantry Fridge Magnet. 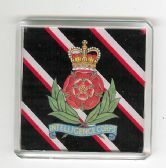 You are Purchasing a Intelligence Corps Fridge Magnet. You are Purchasing a King's own Scottish Borderers Fridge Magnet. 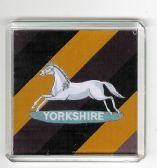 You are Purchasing a King's Own Yorkshire Light Infantry as of 1939 Fridge Magnet. 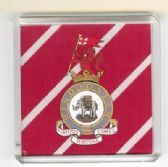 You are Purchasing a King's Regiment Fridge Magnet. You are Purchasing a Life Guards as of 1939 Fridge Magnet. 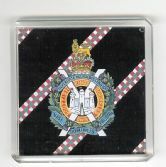 You are Purchasing a The Loyal Regiment as of 1939 Fridge Magnet. You are Purchasing a Northamptonshire Regiment Fridge Magnet. 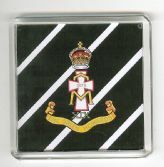 You are Purchasing a Ox's and Bucks Light Infantry Fridge Magnet. You are Purchasing a Prince of Wales's own Regiment of Yorkshire Fridge Magnet. 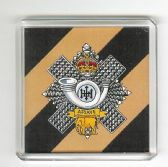 You are Purchasing a Princess of Wales's Royal Regiment Fridge Magnet. You are Purchasing a Queen's Bays Fridge Magnet. 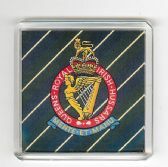 You are Purchasing a Queen's Royal Irish Hussars Fridge Magnet. 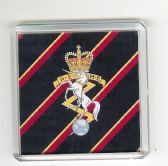 You are Purchasing a Queen's Royal Lancers Fridge Magnet. You are Purchasing a Queen's Royal Reiment of West Surrey Fridge Magnet. You are Purchasing a Rifle Brigade Fridge Magnet. 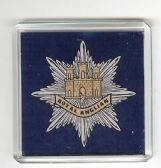 You are Purchasing a Royal Anglian Fridge Magnet. 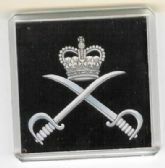 You are Purchasing a Royal Army Chaplins Department Fridge Magnet. 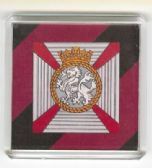 You are Purchasing a Royal Dragoons as of 1939 Fridge Magnet. 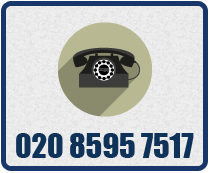 You are Purchasing a Royal Electrical and Mechanical Engineers Fridge Magnet. 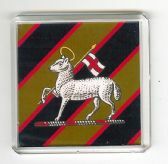 You are Purchasing a Royal Gloucestershire,Berkshire and Wiltshire Regiment Fridge Magnet. 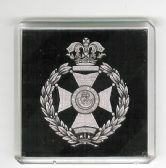 You are Purchasing a Royal Green Jackets Fridge Magnet.